When you have the chance to travel with your lover, you want to go somewhere unique and secluded. You can make memories anywhere as long as you're together, but some memories are more vivid than others. Instead of making a simple date, take your sweetheart away for the weekend. 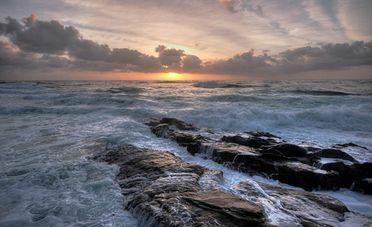 Seaside destinations are always romantic, but La Jolla, California, is special. Come here when you want to get away from everything except each other. The rest of the world melts away as you kiss on the sands of La Jolla Cove. Head to La Jolla Underwater Park and pretend like the universe consists of just the two of you and the sea creatures surrounding you. Kayak along the coastline, or explore the wonders of the Seven Caves. Enjoy a romantic breakfast at the Cottage. Grab dinner at George's, which boasts breathtaking ocean views. Harry's Coffee Shop will get you going each morning. When you check out La Jolla hotels, opt for amenities that will up the romance, such as a Jacuzzi tub or a cozy balcony. You might not think Birmingham has much to offer in the way of romance, but you're incorrect. Railroad Park is a surprising destination for a sweet stroll, and you can continue along Rotary Trail. At Pepper Place, explore the shops and compare your finds. Stimulate your minds at a museum, such as the Birmingham Museum of Art or the Birmingham Civil Rights Institute. Plan a picnic at Birmingham Botanical Gardens. The city has several breweries, so you can enjoy a tour and tasting for a midday buzz. Eschew the local restaurants. Eat from food trucks, instead. You can continue your explorations as you recharge. Look for Birmingham hotels near the city's hottest venues downtown and click here to see some of the best options. In the evening, you can listen to live music or see a show. Oklahoma City welcomes lovers of all ages. Spend the day at the OKC Zoo or the National Cowboy & Western Heritage Museum so that you can hold hands and learn a little something. Enjoy a picnic at Remington Park. Your best bet for romantic meals is in Automobile Alley, home to Broadway 10 Bar & Chophouse, Hatch, and Cultivar, among others. In the Boathouse District, you can go paddle boating or take a sunset cruise. Check out Oklahoma City hotels in this district just for the water view. Sante Fe is a hot spot for art lovers who love each other. The entire trip will charge your creativity and stimulate your imagination. Get lost in Sante Fe Botanical Garden and its gorgeous greenery. Take in a show at Jean Cocteau Cinema. It doesn't get more romantic than the Estrella Del Norte Vineyard. You can spend an entire day walking along Canyon Road, sampling food, and buying trinkets. That's the best place to find hotels in Sante Fe if you want to stay in the midst of everything. Click here to see some options from Hotel Planner. What's your top romantic getaway?